Marie Jacobsen: photography for Jake - Here We Go! ; artwork for Jake - Jake Sings and Jake - Minin' for Gold. Ben Krug: scanning of The Imports' fanzine reviews. Jack Lenzo: art direction, design, and photography for Joe Strell - In the Balance; art direction, design, and photography for Joe Strell - Enormous Morning; art direction, design, and photography for Joe Strell - Under a Mackerel Sky; photography for Split Heavens - Plate of Joe (back cover). Jeff London: web consulting and philosophical development of the theory of "The Asymptote of the Rut", upon which all creative activity is ultimately based. 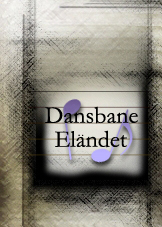 Joe Strell: Dansbane Elandet logo and web site design; art direction, design, and photography (where applicable) for Split Heavens and Jake releases. Meghan Strell: web consulting, photography for Split Heavens - Plate of Joe (front cover). Peter Strell: photography for The Imports live performances and for Split Heavens - Walking Towards You (front cover).